1. 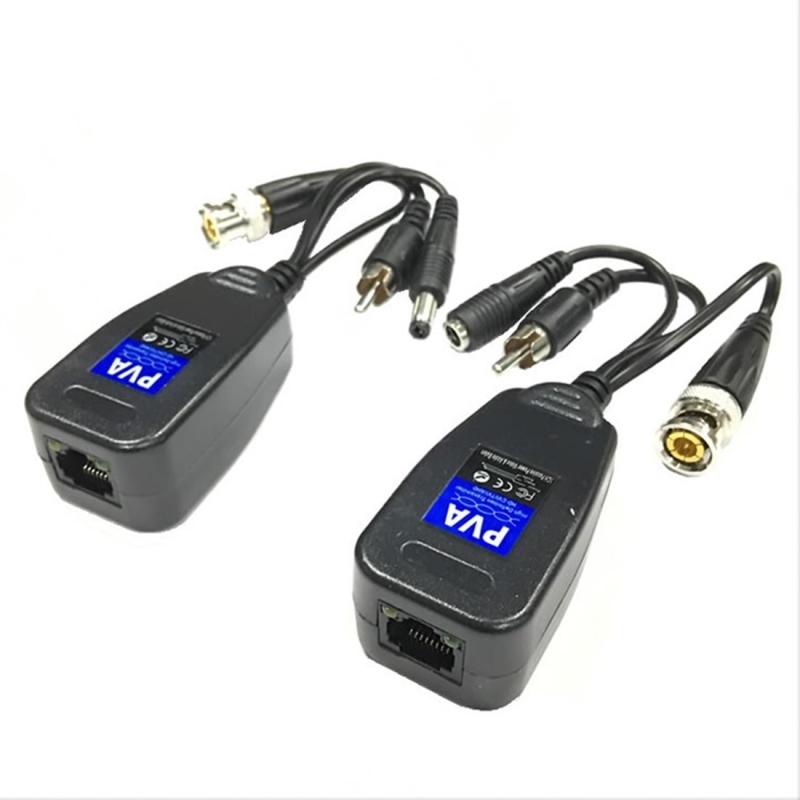 Power + video + audio 3 in 1 passive twisted transceiver. 2. Rising force RCA, tuning fork waterproof DC head, built-in high tension spring BNC. 3. RJ45 connector, HD568B connection method. 4. HD 200 meters, simulation 300 meters. 5. 200 meters power supply, input and output 12V~48V (unregulated chip please select the appropriate power according to the camera voltage). 6. Support HD-CVI/AHD/CVI analog HD cameras and analog ordinary HD cameras. 7. ABS plastic shell, durable to use, small size, delicate design. 8. Power indicator, real-time display of power supply status. All Prices Exclude VAT. This product was added to our catalogue on Thursday 16 August, 2018.